Apple製SSDからサードパーティ製SSDへ換装した一部のMacでmacOS 10.13 High Sierraへアップグレードできない問題が確認される。 | AAPL Ch. 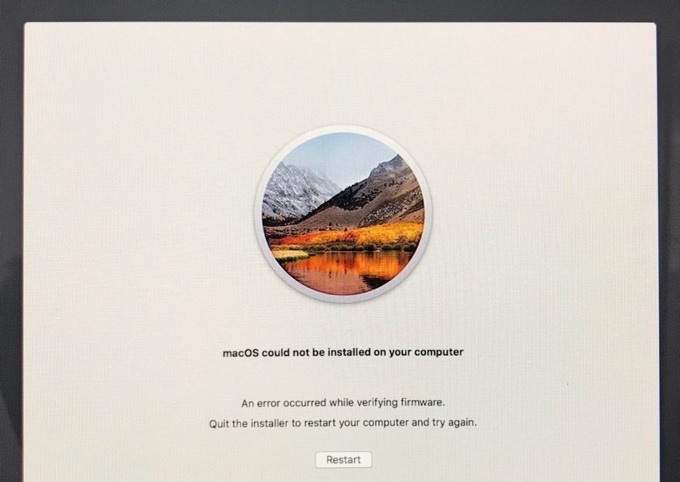 macOS cloud not be installed on your computer. An error occured while verifying firmware. For those who have not attempted to upgrade yet, we recommend using macOS 10.12.x Sierra or earlier on your OWC Aura SSD.